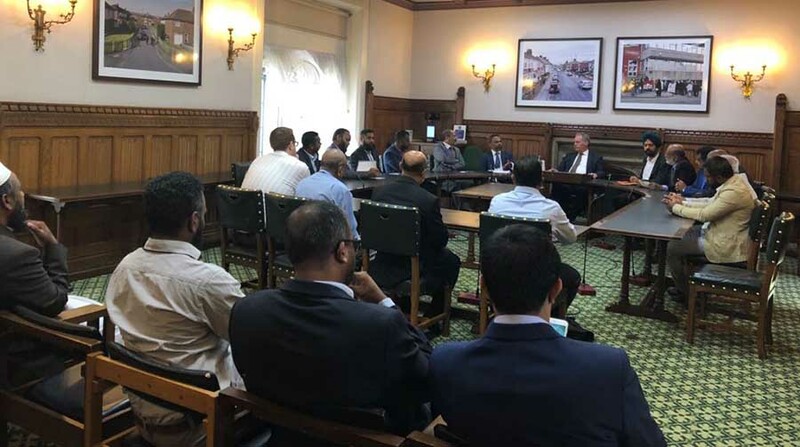 (Lanka e News -30.June.2018, 7.00PM) Council of Sri Lankan Muslim Organizations (COSMOS) UK, the umbrella organization for twenty six Sri Lankan Muslim Organizations based in UK is pleased to announce the historic landmark of the inauguration of the All Party Parliamentary Group (APPG) for Council of Sri Lankan Muslim Organisations (COSMOS) UK on Thursday 28th June 2018 at Committee Room 17 of the House of Commons, London. The meeting was initiated and chaired by Hon. Bob Blackman, The MP for Harrow East, and attended by a cross section of MPs and House of Lords , including The Rt. Hon. The Lord Naseby , Hon. Tan Singh Dhesi MP for Slough and Liz Mc Inness MP, Shadow Minister for Foreign & Commonwealth Affairs , Sri Lankan born The Mayor Cllr. 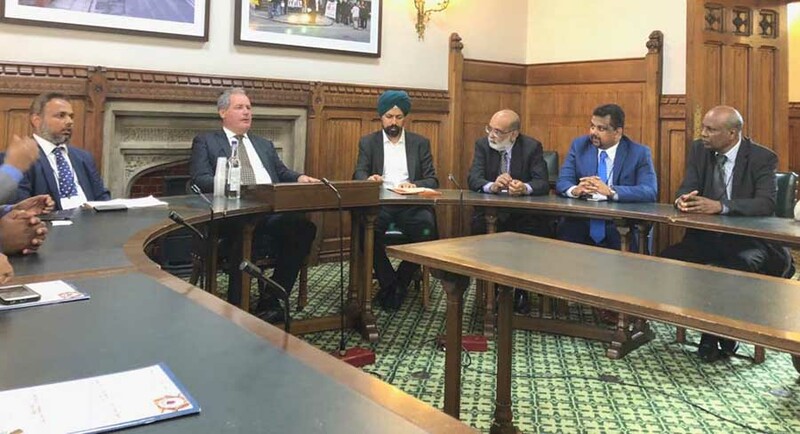 Kareema Marikar of London Borough of Harrow was also present at this meeting. 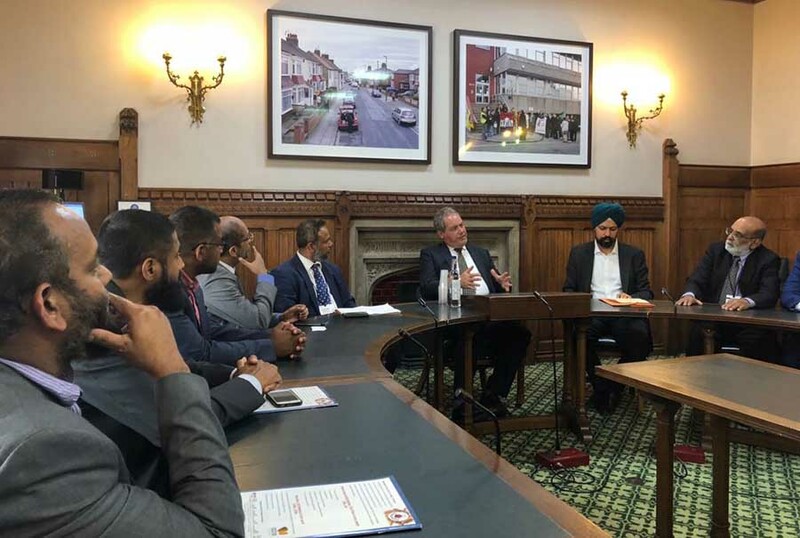 The purpose of this APPG was ''To support, and take up issues raised by COSMOS, relating to Sri Lankan Muslim issues, towards protecting their rights, and promoting peaceful co-existence, in the context of the goodwill prevailing between the two countries, thereby, ushering in, a strong relationship between the two peoples of both counties United Kingdom and Sri Lanka’. Chair of COSMOS UK Azahim Mohammed thanked Mr. Blackman for the initiative taken and support provided in this regard. COSMOS Team made representations to the MPs regarding the background to the challenges faced by the Muslims of Sri Lanka and stressed the need to build upon this historic step, in order to help towards promoting the peaceful co-existence in Sri Lanka and also use the good offices of the UK government to call upon the Sri Lankan government to protect minority rights and the rights of Muslims to live as equal citizens, as per constitutional and international obligations.